Free Coffee or Hot Chocolate with purchase! Tiffany Jablonsky and her family had a craving for some late night sweets but couldn't find what they were looking for in town, so in April of 2016 they opened their own shop! 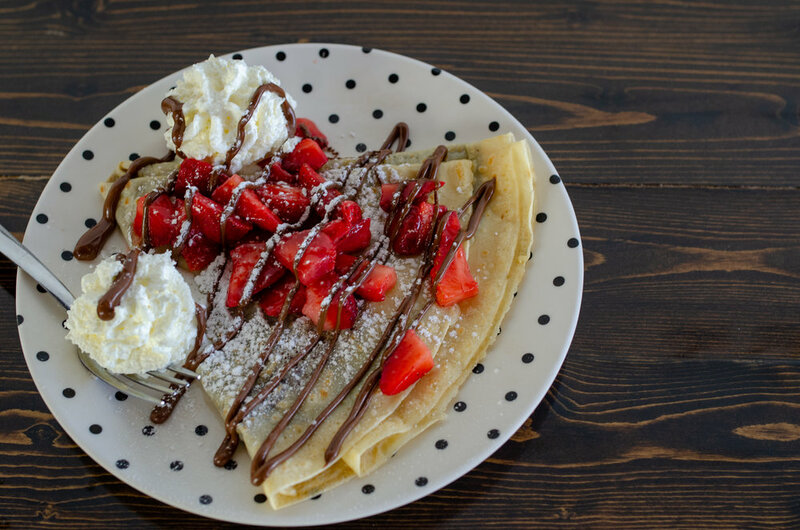 Located in the West End shopping center, they built out a delicious menu of sweets and treats including crepes which are made to order, gelato, wine, coffee, and quite the assortment of pies along with other baked goods. Crave does a fantastic job at keeping up with dessert trends across the nation. Not only is it one of the few places you can order crepes in Lubbock it is the only shop you can get Puffle Waffles! On a trip to New York they found these fully delights and had to bring them back to Lubbock to share. Being an independent business means that they have complete say in how they run their shop! From choosing the menu items to designing the store, they have been able to turn their dreams into a reality to share with our great city. For the Jablonsky's, it's all about bringing people together and creating community over crave-able desserts and wine.